What happens after you have built the slimmest smartphone so tough that it can crack walnuts? Oppo takes a bold move to step away from the “slimmest” accolade in the new R-series smartphone. This time round, OPPO arranged a one-to-one meet-up with me instead of a large media event. It works better for me, as both sides were given undivided time for each other to discuss and share information that benefits both parties. With sizable efforts to penetrate the local smartphone market for the past 2 years, OPPO remains a small player. 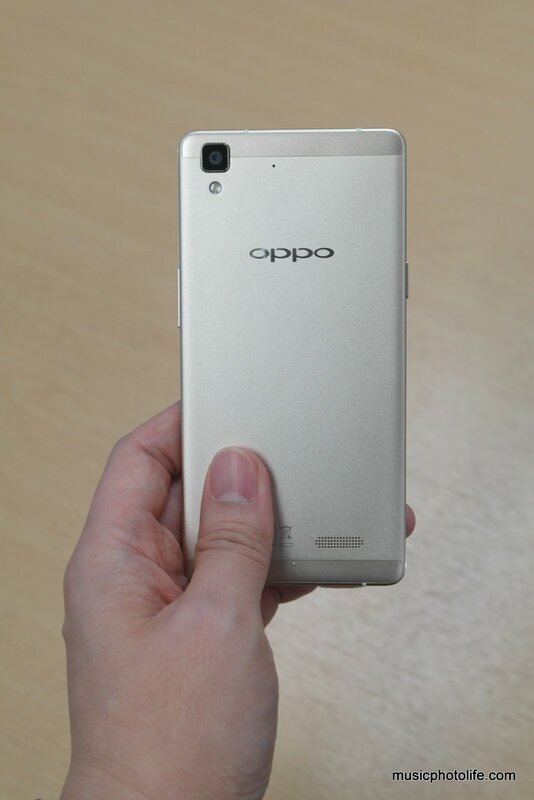 But OPPO continues its aggressive strategy in 2015. In Jun, it announced a comprehensive 2-year warranty plan for all new smartphones, a first in Singapore. This is an attempt to boost consumer confidence and differentiate from the competitors. The current OPPO line-up consists of the top-tier Find series, the lens turning N-series, the slim R-series, the budget Mirror series. The R7 has retained the CPU and GPU of the R5, so technically-speaking, R7 is just a design and feature upgrade. Take a closer look and you will find loads of intrinsic design features. It metal alloy back has undergone 48-step polishing process to achieve “an exquisite velvety metallic finish”. Indeed, the phone edges sport several polishing techniques to give the different style out of a single metal unibody. The review unit still runs on Android 4.4, but OPPO assures me that the OPPO is skipping 5.0 and will launch the Android 5.1 upgrade together with the R7 Plus. 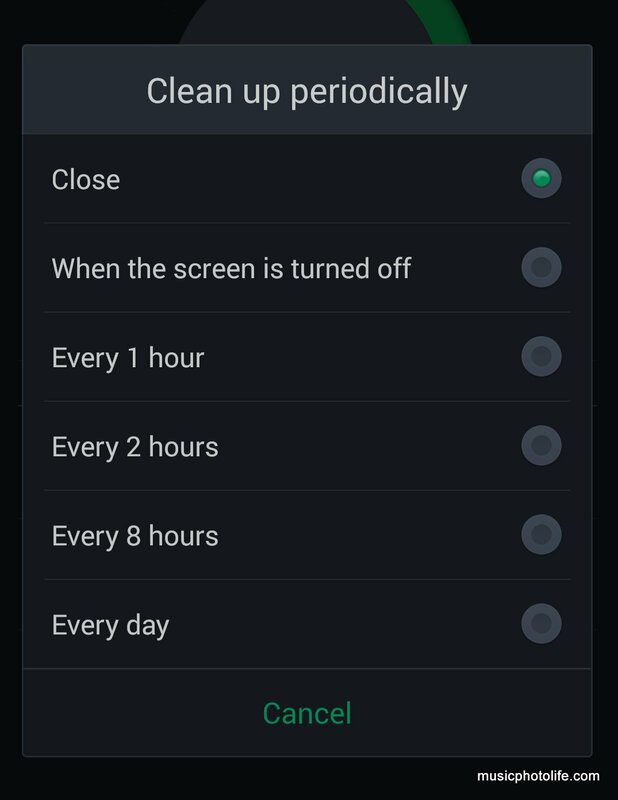 – Smart Clearance: to clean the memory when apps are left idle, preventing unncessary background tasks and improves battery stability. Despite having a small battery capacity, I find that I am able to achieve similar battery usage length as larger-battery smartphones like HTC One M9 or Zenfone 2. – Gesture Motion: you can gesture to wake the phone or turn off the screen, as well as activating apps instantly or control music when the screen is still off. 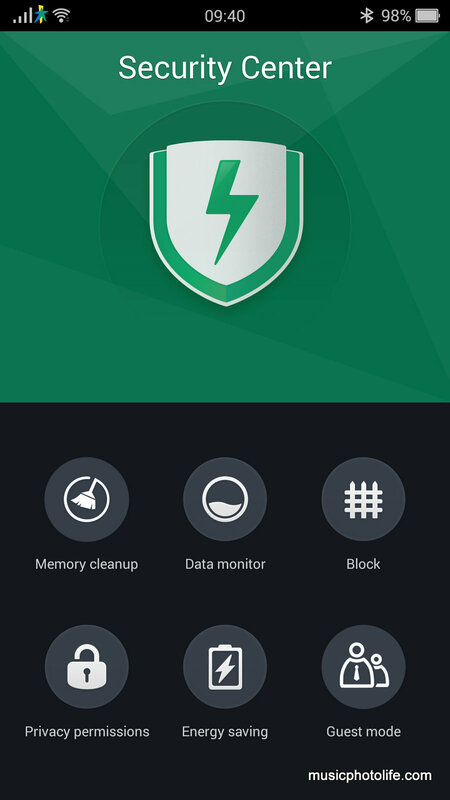 – Security Center: a suite of apps to manage the phone’s memory, monitor date, block spam, manage app permissions, battery consumption. – Single layer launcher: Similar to iPhone and Xiaomi OS, the OPPO ColorOS does not have an app drawer like other Android devices. – Themes: Smartphones today can’t do without the ability to customise the look and feel of your icons, fonts, folders and colours. – 3.5mm Jack: R5 users made a big fuss about this, so OPPO made the R7 slightly thicker to accommodate the standard audio jack. – Length Screen capture: able to capture lengthy screenshots that scrolls downwards. To invoke, press Power and Volume-Up buttons together. This feature is smart enough not to capture static frames and only captures the scrolled content. One of my favourite features and unique to OPPO. – Guest Mode: this mode, when enabled from the Security Center, lets you hide contacts, apps, photos and videos. What’s interesting is that this mode looks and feels no different from the non-guest mode, unlike other smartphone implementation where it was meant more for restricting child use. On the R7, when you change the wallpaper, it applies to both modes. To access the Guest Mode, enter the “Guest” password from the lockscreen. To access the normal mode, enter the normal password. It appears that the OPPO Guest Mode targets at consumers who may want to hide some information without being perceived as hiding. 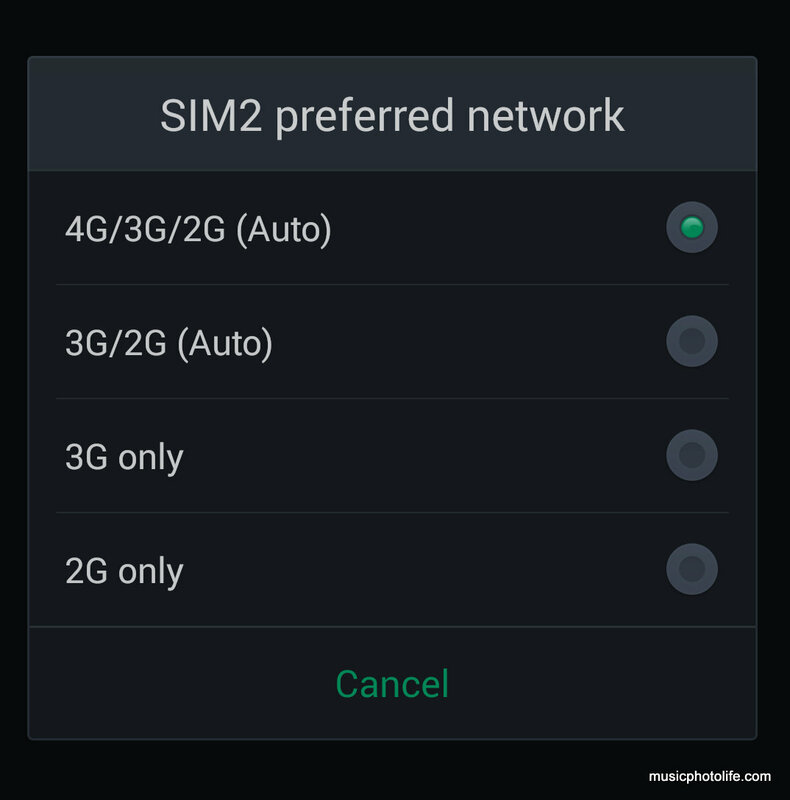 – Dual 4G SIM: unlike many other smartphones, the OPPO R7 supports 4G LTE in both SIM slots, although you can only activate one at a time. Also, SIM2 slot doubles as a micro SD slot, so if you must use a micro SD, then you have to forgo one SIM slot. 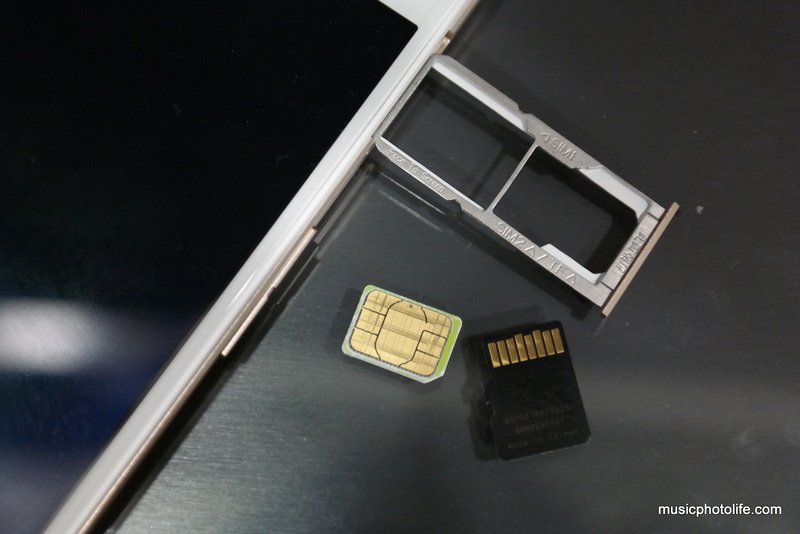 SIM1 uses micro SIM while SIM2 uses nano SIM. 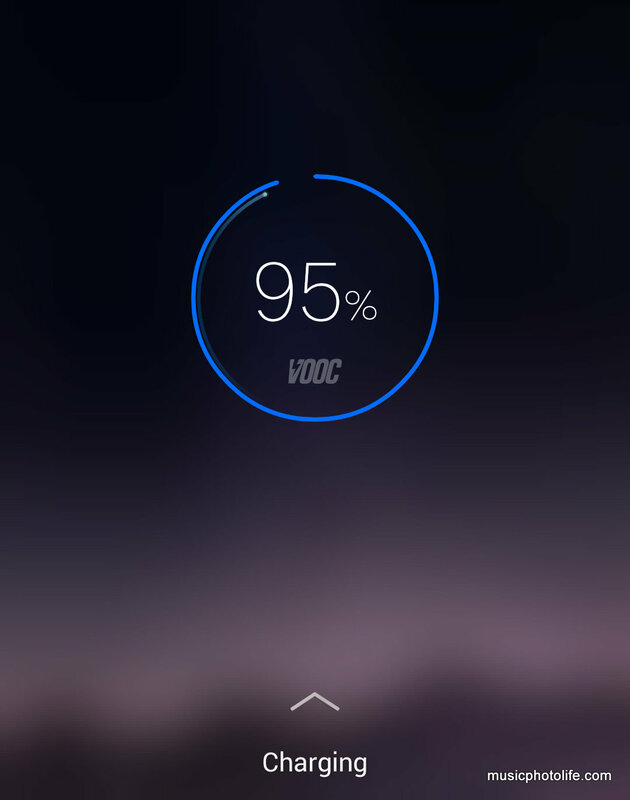 – VOOC Flash Charge: this is nothing new to OPPO, but it’s worth mentioning that I can charge the R7 from 0 to 75% in just 30 minutes. It changes the way I charge my phone. No longer do I leave my phone charged overnight. You can literally see the battery indicator move every few seconds. – Included case and screen protector: like the R5, the R7 comes bundled with a protective casing and pre-applied screen protector to save the hassle of fitting them. The casing sports dual finishing where the sides are matt silicone while the rear is hard glossy plastic. – Camera: like most camera apps in the market, the OPPO camera offers dozens of shoot effects, similar to R5. You can shoot in RAW format, adjust exposure manually using Expert mode, capture images in 50MP with Ultra HD, snap in GIF, capture in shutter, create double exposures, speed up or slow down video, and many more. One of my favourite modes unique to OPPO smartphones is the Super Macro where the camera digitally zooms in the subject for the macro look without requiring you to move the camera nearer. The convenient thing about the camera is that you can easily exit from the special shoot mode back to the normal mode just by pressing the “exit” floating icon on the camera screen without the need to go back to the shoot menu to change the mode. Most importantly, the camera start up speed is consistently fast and helps me capture the moments I needed. – Same R5 processor: R7 uses the same CPU and GPU as R5, so there is no speed improvement. I noticed sporadic lags, and the touchscreen does not respond as sensitive (which might favour some users), so you might need to be a little bit more firm when pressing on-screen commands. The saving grace is that the R7 retail price is lower than the R5, and the other hardware improvements makes up for this. 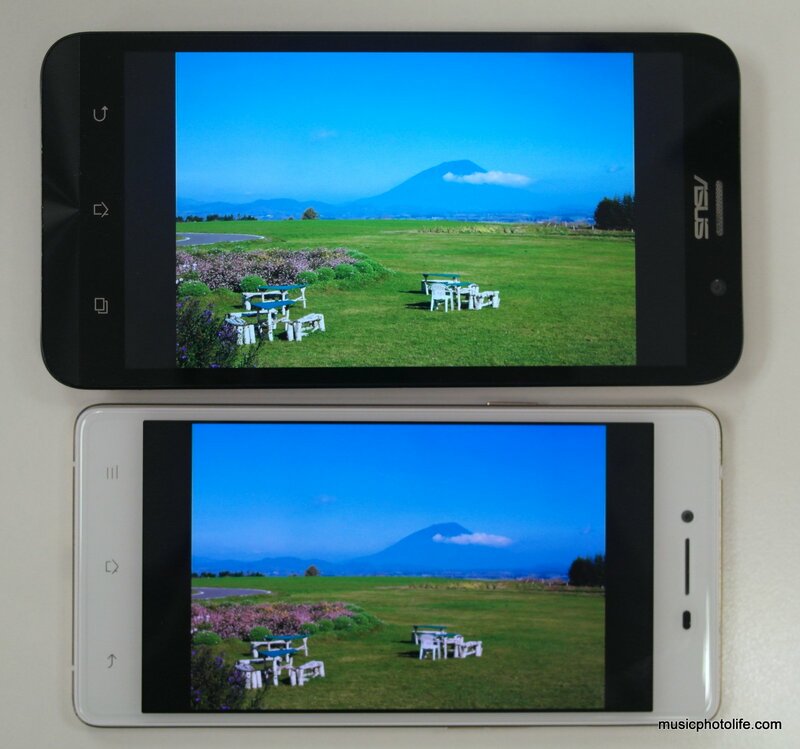 – Screen colour saturation: the OPPO R7 screen is more saturated with no option for a more neutral colour mode, but nonetheless the saturation makes the display look stunning for the general consumers. Its brightness level is also still visible under bright lighting. – Smaller camera aperture: compared to the R5 with f/2.0 aperture on both cameras, the R7 has f/2.2 on rear camera and f/2.4 on the front. Theoretically, it means the camera requires longer shutter speed to capture the same scene. 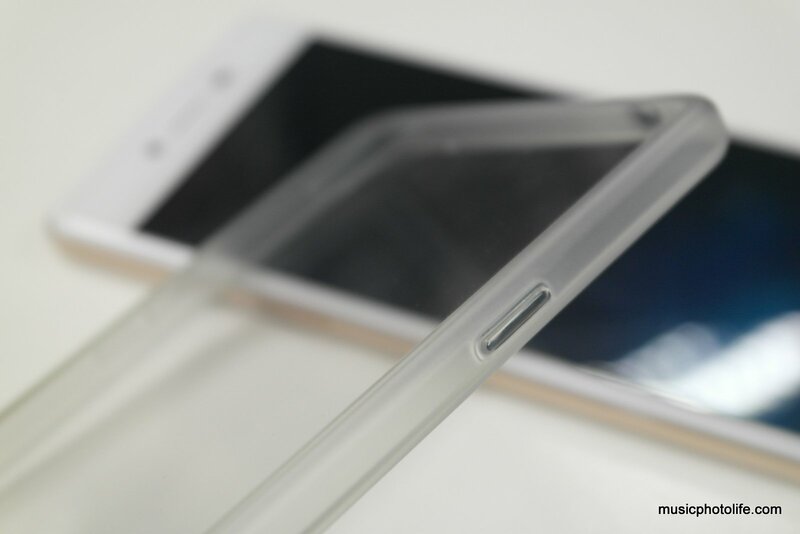 – No NFC, No WiFi AC band: The lack of NFC and WiFi AC-band means the OPPO R7 is a little less future-proof. NFC has proven to be rather useful in many cases, and even if you don’t use it often, it is always good to have it when you need it. 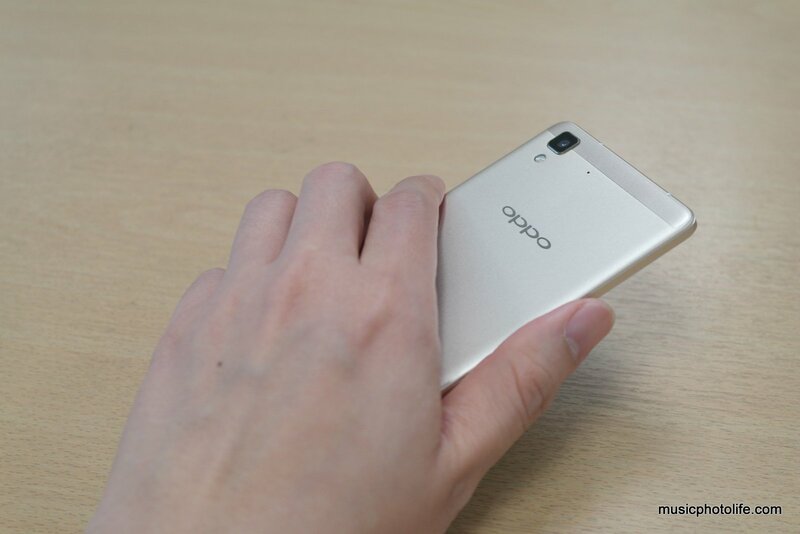 I already liked the OPPO R5 for its design and the customisable UI, but with some reservations. 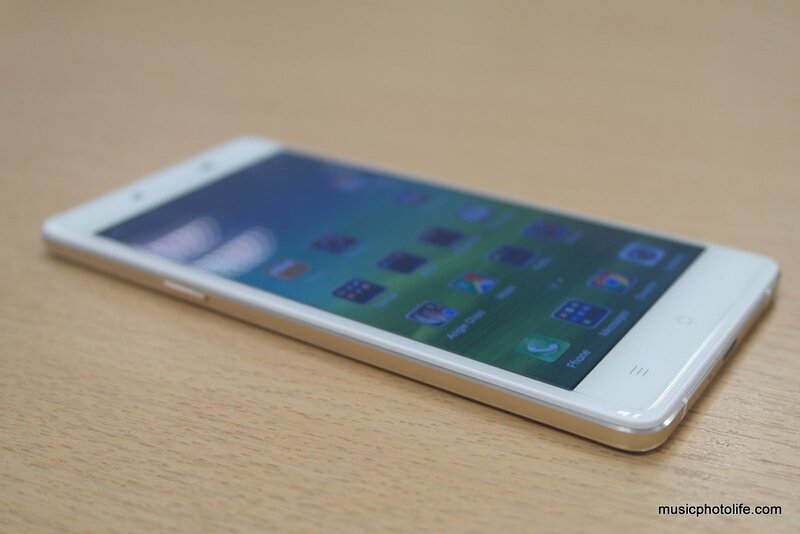 The OPPO R7 addressed a lot of the issues to make it a more usable smartphone for me. It now supports dual SIM, expandable memory via microSD card, a larger battery with better power management, updated OS with new software enhancements. As I use it daily over the 2 weeks, I really like the ability to charge the phone in just 30 minutes to last me more than half a day – no more “battery shock”. I am quite happy that the phone does not drain battery excessively despite my heavy app usage. The OPPO R7 retails for S$569 in Singapore, available from OPPO flagship store at Suntec City with 2-year warranty. Also available with a mobile plan from SingTel, M1 and StarHub.